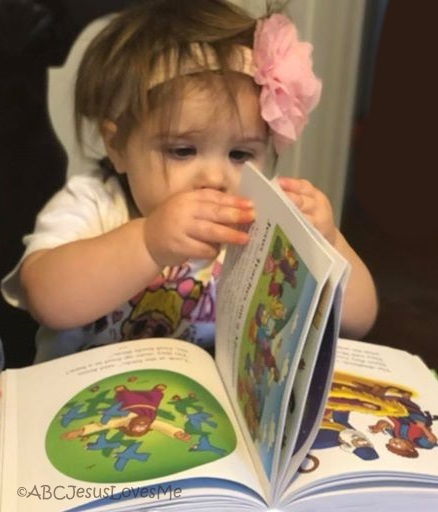 Learning: Written specifically for churches and preschools, the "Then They'll Grow" Curriculum will empower adults to guide preschoolers to grow in their understanding of God. The Curriculum includes 43 lessons covering Old Testament stories of Noah, Abraham, Joseph, as well as lesser-known biblical heroes like Deborah, Isaiah, and Gideon. Nine additional lessons for Easter, Thanksgiving, and Christmas are provided to implement as needed. The Bible Curriculum can easily be tweaked for family use. 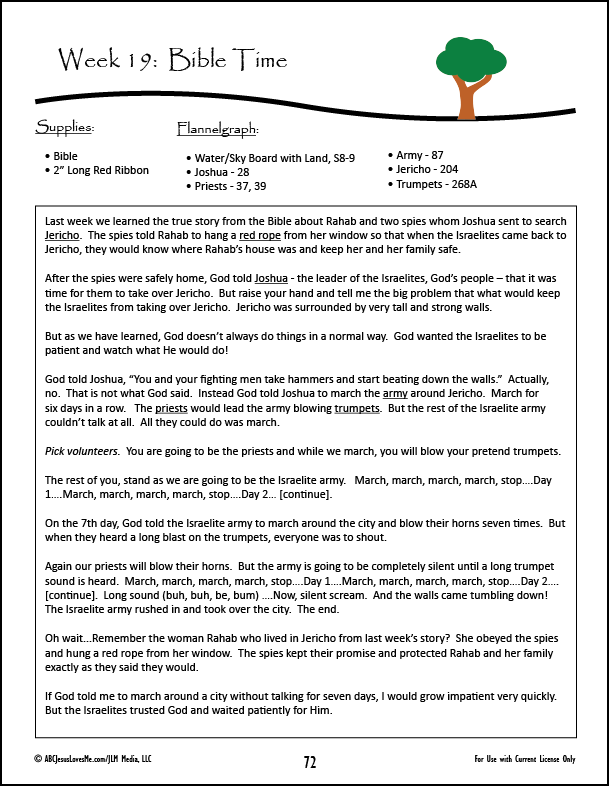 Leading each of the 52 weekly lessons, the Learning page centers around a specific characteristic of God. 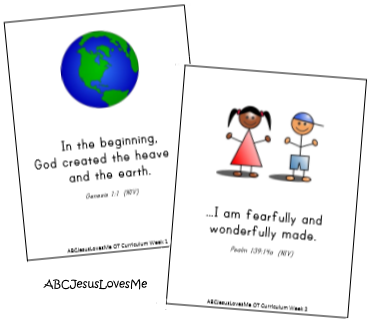 Ideas include a memory verse and song, Bible song, comprehensive questions, and snack ideas to further learning. 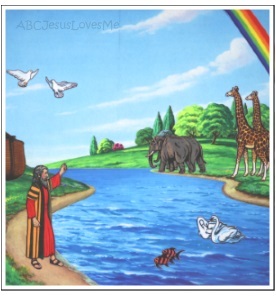 Children are encouraged to learn the books of the Bible through song. A small supply list is provided for easy preparation. 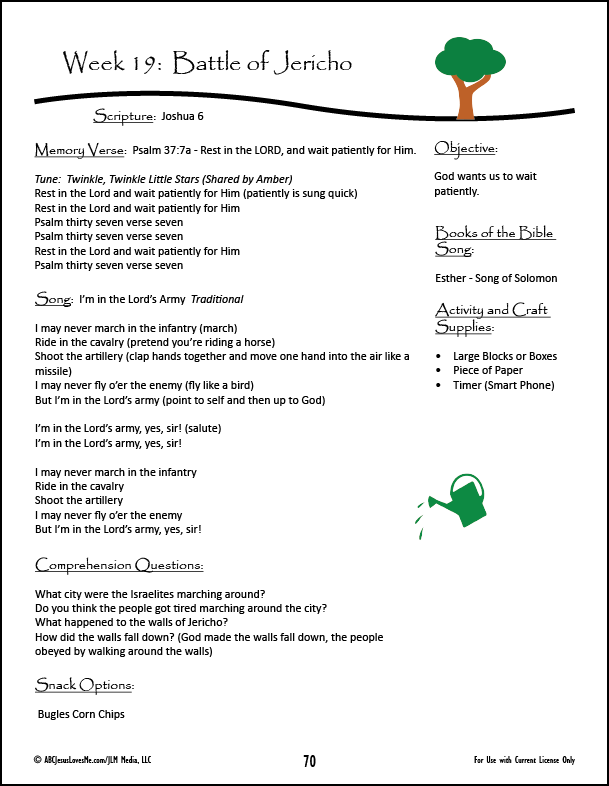 The second page contains at least three options to use during class time to further the Bible learning. Options include activities, a craft, song, or fingerplay. Additional ideas are provided to give teachers tips and additional information for the lesson. Approximately half of the Lesson Plans include individual or group craft activities. 15 Lesson Plans utilize an included worksheet for craft time. 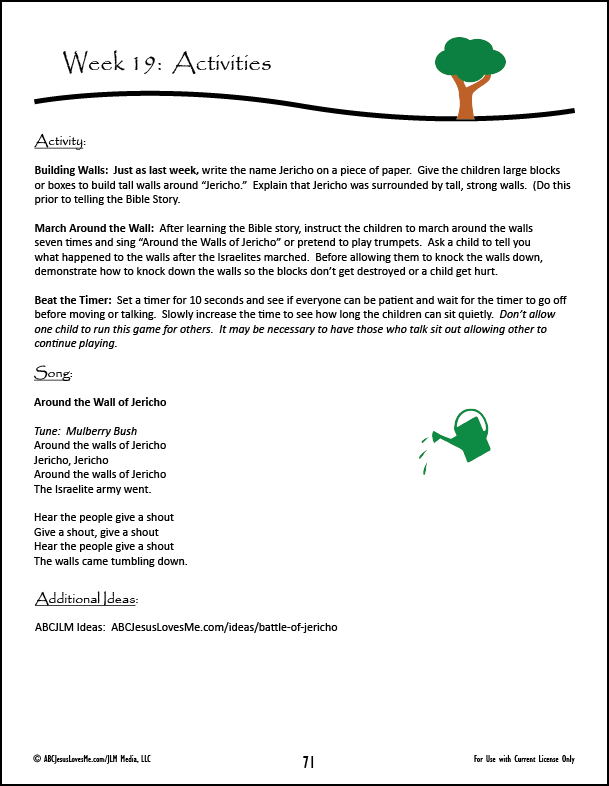 This is my favorite portion of the curriculum as it contains an age-appropriate script to share the Bible story with a group of children in a fun and interact way. I personally have used the scripts with large groups of children assuring success. The lessons include suggestions for involvement, props,and flannelgraph to provide multiple learning levels. A Scope and Sequence provides an outline of the lessons to easily adjust the curriculum to your needs. Also included are 4 pages of Teaching Tips and Tools to empower the novice to the experienced teacher to get the most out of the Then They'll Grow Curriculum. Approximately 1/2 of the Lesson Plans include individual or group Craft Activities. 15 Lesson Plans utilize a worksheet for craft time. Worksheets are found with the Lesson Plan to reproduce as needed. All activities utilize easily obtained supplies and are age-appropriate allowing the children to be successful. To incorporate all learning styles, Visual Material and Movement suggestions are included in the Bible scripts. Specifically, flannelgraph, household items, and actions are implemented into the storyline. All ideas and flannelgraph are recommendations, not required to use this curriculum, and not included with curriculum. To help with Scripture memory, 24 Old Testament Memory Verse Cards have been created to help further learning. 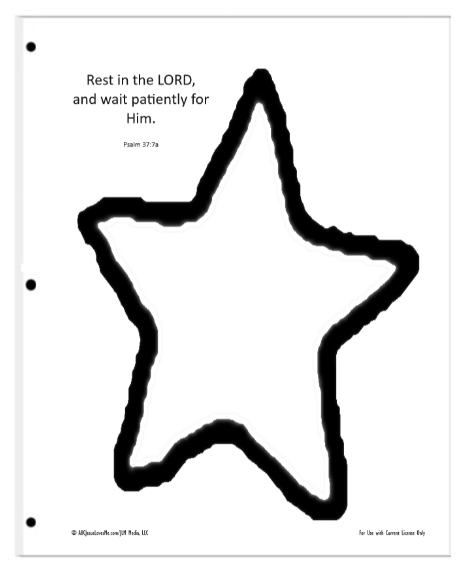 Use in your home or as take-home sheets in your church or preschool. Available to order in Digital Download format.